3rd June, Taipei. Many editors travelled to Taiwan to visit manufacturers at Computex. A stressful week comes to an end. This is a perfect time for sightseeing -- or to visit a manufacturer's headquarters. We met FSP to take a look at their newest PSUs: The Aurum CM series. The FSP Group was founded in 1993. FSP is a large Taiwanese OEM/ODM who builds adapters, PC power supplies, open frame power supplies, LCD TV power supplies and much more. In fact they are able to produce up to 1.5 Million power supplies per month in four factories. All of them are in China mainland, while the R&D department is located in Taoyuan/Taipei, Taiwan. 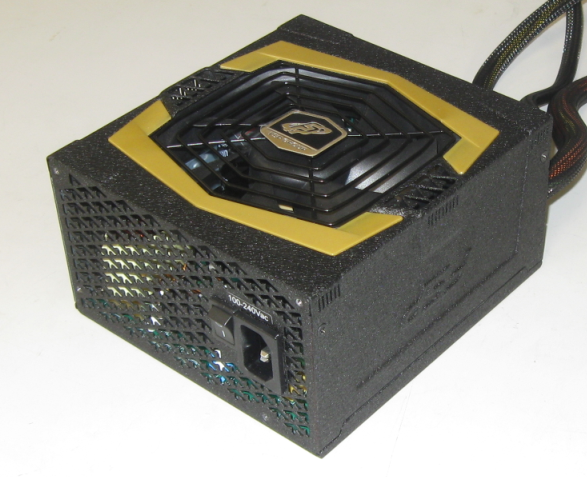 From a grey adapter to a modular 1200W PSU; FSP delivers all kinds of products for different applications and prices. We met Albert Liang (PM) at the Nangang Exhibition Hall and talked about current products and new ideas for the market. Especially smartphones are a focus for many companies. FSP built some new adapters for these kind of mobile phones. In addition FSP reduced the size of many current adapters and added some USB plugs. This step has a simple reason. If you have a smartphone, a camera and equal stuff it might be interesting to charge them with one device instead of using different gagets for each product. Their new solution is less expensive and a light-weight. After that short look to their exhibition stand we drove to the FSP HQ in Taoyuan, a part of Taipei there the international airport is located. Here you can find all kinds of power supply manufacturers such as Enermax (they are just 20 minutes away from FSP). The City itself is not very beautiful so we spent most time in the building. In this pricture you can see the marketing/PM department. This is the place where the technicians are working. They do the development and many quality tests for FSP products. However they also check the functionality of all ODM products there. We have seen many Zalman and be quiet! PSUs --- made by FSP. You can definitely see that they do more than gnaw one's nails here. This is the testing equipment with software where we have tortured an Aurum CM 750W sample. In fact FSP has many ATEs in his HQ in combination with an acoustic and EMI room with a very large antenna. Note that all following results are measured at an ambient temperature of 40°C. No price for the Aurum? In Holland I payed 90 euro incl. shipping, for the 700 watt version without the modular cables (FSP Aurum 700). I have been very happy with mine (Computer: 5850*2, 10HD's, Q9550@3.6GHz, etc., etc.). FSP's products are almost allways in the "You-get-what-you-pay-for" class. This goes for the high-end as well as low end parts. Please consider that FSP has a huge range and DOES produce low-end (even if not "trash"-end) parts. It's nitpicking, but I'm disliking the use of the by the way abbrevation. Is a full review upcomming? I'm having a bit hard time getting any solid information except for the numbers from this 'rushed' article.